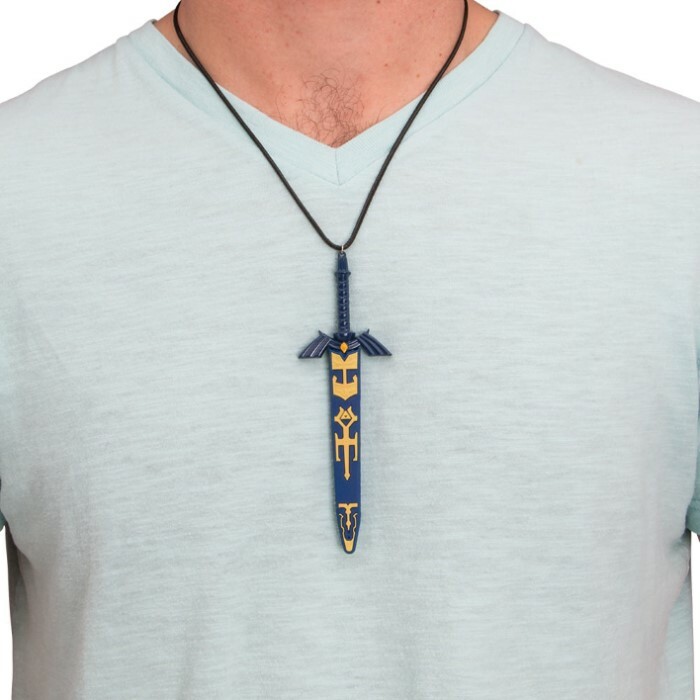 Zelda fans this necklace is for you! 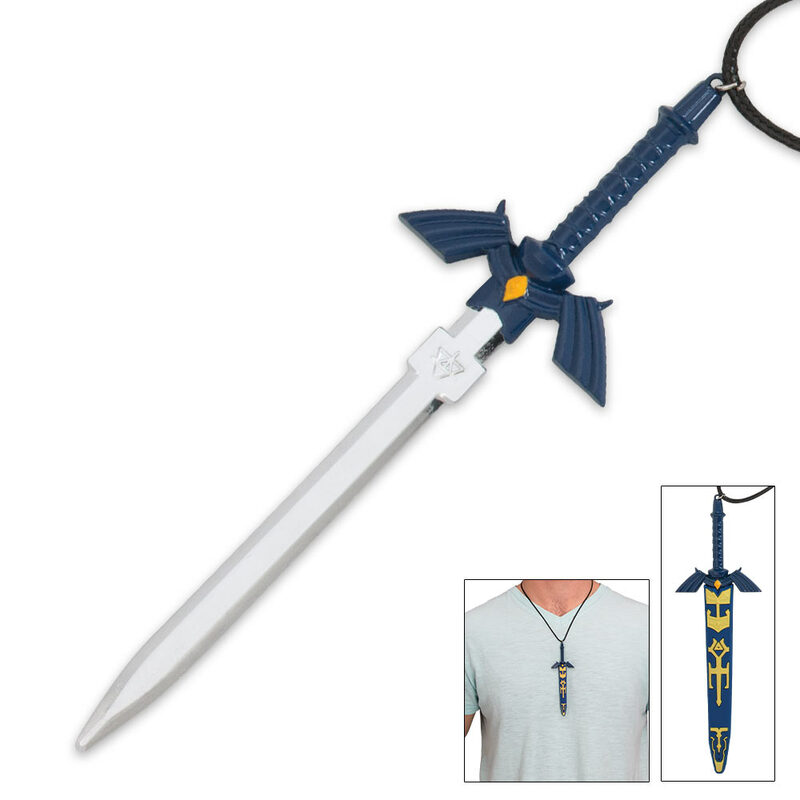 This miniature version of Link's sword is an extremely detailed replica of the Master Sword. It is constructed of solid metal alloy and the sheath is of pliable rubber. This is a great collector's piece and comes in at 5 1/2" in overall length. I purchased this because I am a fan of Zelda. The necklace looks amazing, but don't expect "neck knife" to mean it is sharp. Smooth edges and nice detail. 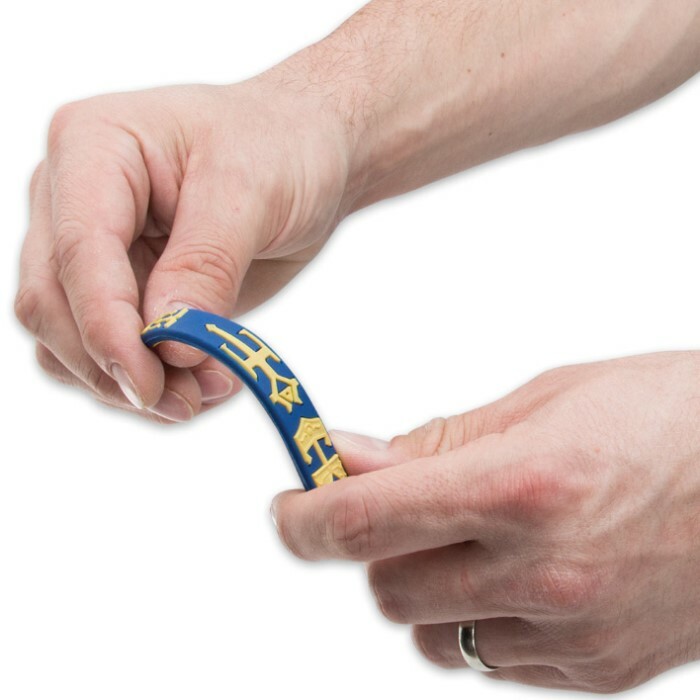 The only thing you should know is that the small pricks on the cross guard do have a point, but the handle along with the guard itself keep the pricks from causing discomfort. I have slept with this on as I do with any necklace I decide to wear. Now for the necklace itself. the lace isn't itchy. it is comfortable to wear, but the rings holding each part together are very weak. the sword had fallen off within the next day or so. I have the key ring from the spares to my truck holding the sword to the lace. The lace itself will have a chain link where you clasp it together. The link to the chain had broken off followed by the chain maybe a day later. The hook is strong enough to hold the necklace by itself and can take a tug or two. Final review would be that the sword looks really nice, but better without the sheath (IMO). The lace will cause the most problems for you, so either bear with it, or change it.